The Department of Instruction, Curriculum, & Assessment supports teachers in continuous improvement of their knowledge and skills. Our goal is to support teachers in delivering rigorous, standards-aligned curriculum equitably across the district. 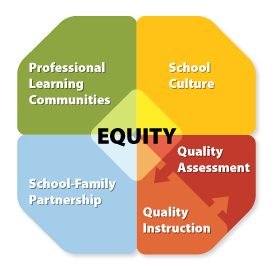 Our work directly supports the Successful Schools Framework fundamentals of Quality Instruction & Quality Assessment.